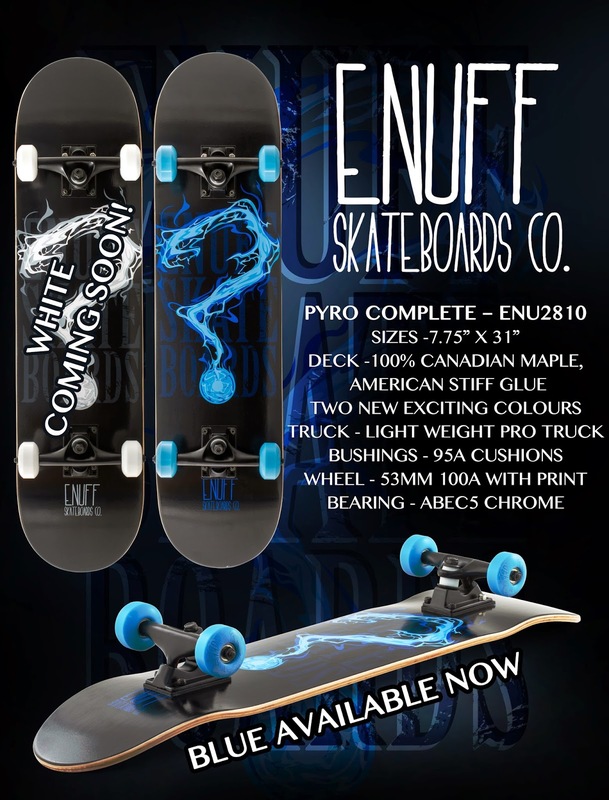 Check out our new complete skateboards! We are very excited to introduce the first of our new complete range for 2014. We have kept some of the favourites and updated the colours, as well as introduced new designs. The POW was very popular in our previous range, so we have introduced two new colours, Purple and Green. View the full POW spec here. In our last range we had two versions of the Graffiti board. The urban art look has always been popular and we love creating graffiti inspired artwork. 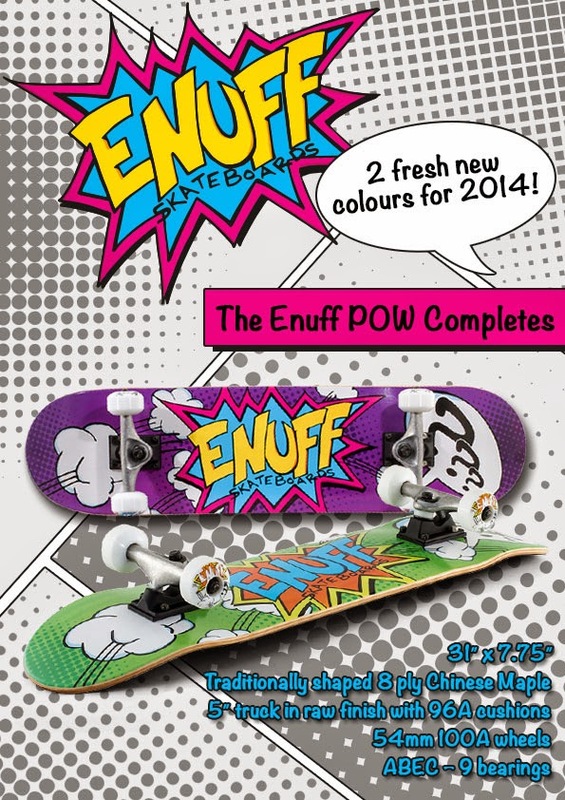 For 2014 not only have we gone with more bold looking lettering but we have also released 4 colour variations of the board. 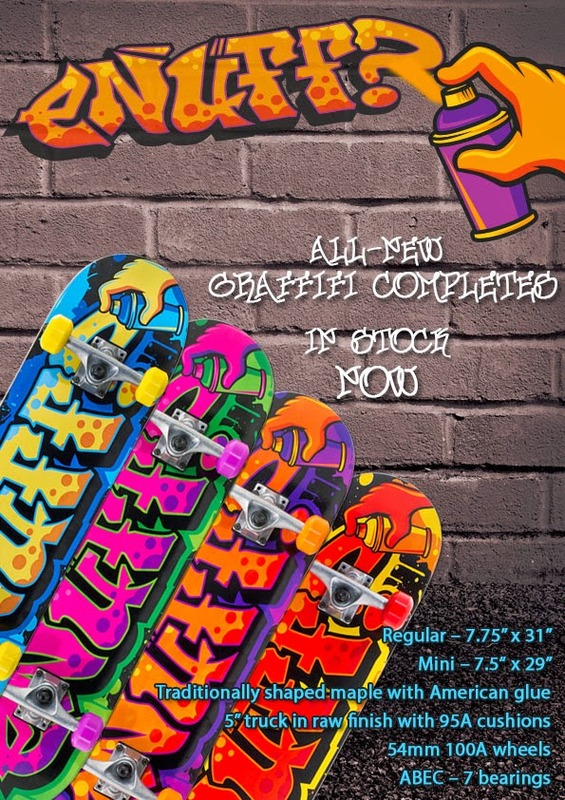 The Graffiti is available in two sizes, 31" and 29", giving you more options. View the full Graffiti spec here. View the full Pyro spec here. These 3 models are just the beginning of our new complete skateboard range for this year, so keep your eye on the Enuff Facebook page for more updates!